Gold and Silver have been on a steady decline this year and having lost 17% and 25% respectively in USD terms got me curious to find out if there was any country where the value of these metals increased in the local currency terms. 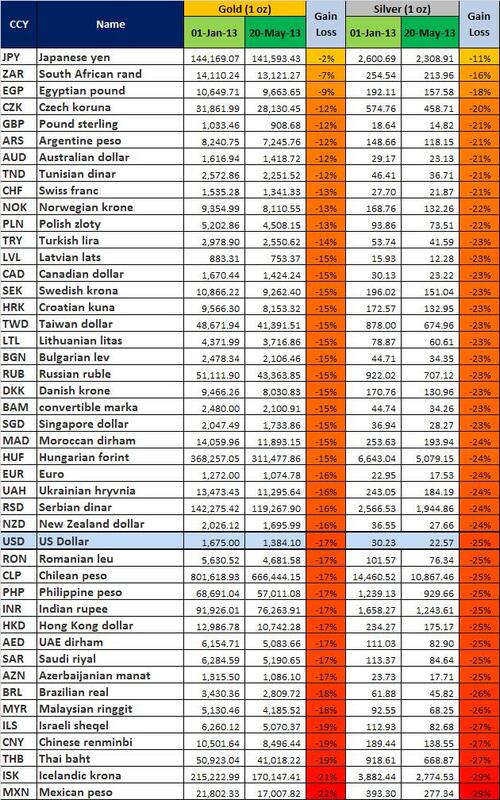 After some research and marrying the Exchange Rates to the price of Gold and Silver at various points in time I got the below table ready…45 Currencies to look at :). I did not really find any country where the value had increased but Japan came very close to parity. Gold has lost only 2% value when measured in JPY. Given the massive weakness in JPY over the past few months the gold value has been able to off set the losses when measured in yen terms. The second closest country was South Afria which has experienced similar currency weakness but not as large as the yen. On the other extreme are countries like Mexico, China, Thailand and Malaysia where strengthning local currency and growth prospects of economy have aggrevated the losses for those holding gold or silver. Gold is down 22% in Mexican peso terms and 19% when measured in Yuan. The stark contrast between Japan and Mexico does highlight how Gold and Silver could act as store of wealth when countries go through or are expected to go through inflationary periods or there is a general run on the currency. Now you would be wondering what is my view on the metals? Is Bullion really a store of wealth and hedge against inflation? Interesting to note that while price of Burger rose from 43 cents to 1.99$ an increase of 5 times, the silver value fell from 35(average) to 4.75 USD. If one could buy 81 Hamburgers using an ounce of Silver in 1979 the same one ounce of silver fetched only 5 burgers in 2002. There was no period of negative inflation between 1979 to 2002 to warrant a reduction in Silver price based on the theory that bullion is hedge for inflation. I have used Mc for the comparison as BigMC index is a commonly used index for estimating cost of living across various countries. There could be asset classes that could throw a different result and compounded with Exchange rates the results would differ for different countries. Would be great if you could contribute similar data in comments and lets see if the hypothesis holds good? Its been almost a year since I wrote about investing in coins – Investment of a different Kind Buy collectible coins. Gold and Silver prices have sea-sawed in this timeframe. We saw Gold hitting lows of 1536 and highs of 1794 whereas Silver went to highs of 37.14 and lows of 26.35. But what happened to the value of coins? The Bullion category like – American Silver Eagles, Austrian Phila and Canadian Maple leaves have moved slong with the silver price. However the Australian Mint – Kookaburras and Lunar Series, Chinese Pandas and Canadian wildlife series have shown reaonable appreciation. Canadian Wildlife Wolf 1 oz silver that was selling for SGD60 in the last year now retails for over SGD90 – a whooping 50% increase. Silver however has remained flat year over year (One could have bought these coins for cheaper when the silver price fell to 26-27USD). So which coins am I looking to invest in for the next year? Australian Lunar series and Kookaburra is a favorite, 2013 is the year of the snake and mintage remains at only 300,000 pieces. 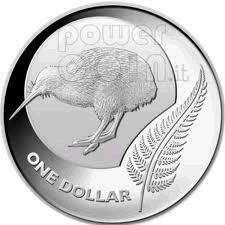 Kookaburra mintage however has been increased to 1,000,000 pieces from 500,000 for 2012. Rwanda Wildlife – These are great coins with a mintage of 5000 pieces as well, Just like the Somalia Elephants the past years are hard to find. The 2013 Cheetah is already becoming difficult to buy and 2012 Rhino is in great demand. Previous years like Gorilla and lion retail for over 250SGD. What I also like about Rwanda and Somalia coins is that these are minted in germany and have excellent quality. With the wealth of these nations rising in next decade or so the appreciation of older coins from these countries is bound to increase. Just a quick consolidation of what leading banks are predicting for Gold and Silver in 2013. The table has been left blank where information could not be found. The general consensus was for Gold to breach USD2000 and silver to stay above USD44 – neither of which has happened. Would be interesting to see if Gold and Silver can cross $2000 and $40 respectively this year. Every other day you would hear about investment advisors recommending to take an exposure in Gold or Silver using an ETF or buying phisycal metal. A lot of investors prefer buying gold or silver bars instead of putting money in an ETF as the ETF’s have management fee and usually trail the bullion price on any given day. For those who prefer holding phisycal gold or silver buying the Collectible Bullion coins would be a good idea. Most leading mints issue .999 purity silver coins every year and varying variety of Gold coins from 22kt purity Krugerrands to 24Kt Chinese pandas. These bullion coins are minted in limited quantities each year and cater to both the collectors and investors market. 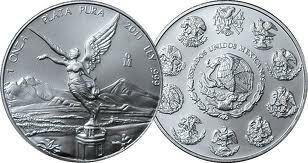 The coins are usually at a premium to the silver price for the minting charges, transportation and insurance costs. 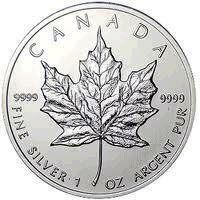 One would ask that why should they pay a premium for a coin and not buy simple bullion bars? Yes one could buy the bars but even the bars come at a premium to the spot silver price i.e. include the cost of mintage (shaping silver to a bar), the process of making a bar is simpler which results in a smaller charge. The differential between the price of a Bar and a coin of similar weight is around 5% but coins come with a potential of collection value as they are minted in limited quantities for each year, with the year mark and are usually sold out even before the year ends – The 1 oz. Australian Lunar coins bearing the dragon for 2012 have already been sold out!! 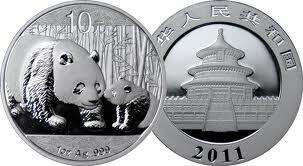 Additionally the coins are equivalent to a piece of art and carry aesthetic value. So think about buying these coins as investments in silver or gold – a bar minted in say year 2000 would have a small premium over silver price of the day but a coin that was minted in 2000 would always command a bigger premium than the bar. Gold – Next bubble in making or Next Bubble to Burst? Practically every day we hear one or the other analyst doling out advice to invest in gold and how at least 10% (though this recommendation can be as high 20%) of your portfolio should comprise of gold or gold stocks. The Gold price has fluctuated wildly in the past year. After hitting a high of US$1032/oz in March 2008, it fell to US$690 in November 2008 and is back up again at around US$900/oz. First the rally was attributed to weakness in US dollar. The Gold prices moved in inverse tandem with the weakening dollar beginning 2003. US Dollar Index fell from 101.91 in Jan 2003 to 71.34 in Apr 2008 – appx. a 30% weakness. The USD Index measures the performance of the US Dollar against a basket of currencies: EUR, Japanese Yen (JPY), Pound Sterling (GBP), Canadian Dollar (CAD), Swiss Frank (CHF) and Swedish Krona (SEK). The most noted move was the weakening of USD from 1.25 to 1.63 against the Euro during the same time frame – a 30% appreciation of Euro against the USD. Some traders price Gold between 7.5 to 15 ratio to the Crude Oil. So when Oil touched its peak of US$147 a barrel the gold prices were being predicted to touch $2200 (147×15 = 2205) on an optimistic scale, and the price of US$1100 (147x 7.5 = 1102) looked reasonable. The gold prices did follow the falling crude for some time but the pair seems to have lost co-relation now. With current crude oil prices around US$45/bbl, using the Crude oil to Gold ratio the optimistic Gold price comes at US$675/Oz and pessimistic price comes to US$338/Oz. Gold has been, more often than not, regarded as a good hedge against inflation. With the skyrocketing prices of commodities during first half of 2008 the inflation across the world had started to move toward the double digit territory. Countries like India and China had inflation of upwards of 12%. With the rising inflation the investment in gold as a hedge was a prime theme then. The inflation has now fallen back to single digit levels in most of the economies and there seems to be real threat of deflation with falling consumption. After having exhausted all the above theories the latest story is that of safe investment in uncertain times. With falling stock prices, lowering treasury yields and the sovereign default risk inching upwards investing in gold seems to be the buzz word again. The reason this time is that Gold is a real tangible asset that has been considered valuable for centuries. The supply of gold is limited thus it makes a perfect investment. Having considered all the reasons of why to invest in gold let us now look at the other side of the coin. Applying the Dollar co-relation theory the gold price should be headed downwards. The USD index is up at 87 as on date of writing. Using linear equation we can arrive at a fair value of gold in relation to the USD index which is appx. US$775. Using the Oil co-relation the gold should be trading anywhere between US$338 to US$675 an ounce and with inflation falling sharply people should be selling gold. Now coming to the risk aversion theory let us answer a simple question – is gold not really a commodity? It has a derived value. Unless the world moves back to the days when people would use gold as currency to buy and sell goods, investing in gold is as good as exposing your money towards the price fluctuations in gold price (unless someone can guarantee that gold will never fall down). On the demand supply front – the demand has shown elasticity to price. India one of the biggest consumers of Gold reported 90% decline in Gold imports year on year for the month of January 09, when the prices touched all time highs due to increased global price and weakened domestic currency. Since then the currency has weakened further and there are reports of households selling old gold and avoiding new purchases. 1. Except for the last five years, gold has been in a bear market after a peak in 1980. 2. Central banks have tons of bullion which they occasionally threaten to sell. Will they not realize this threat if national debt needs to be repaid? 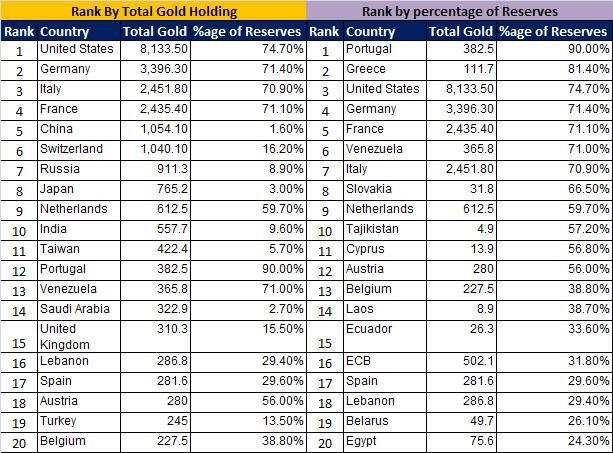 Central Banks have pledged gold in the past to obtain foreign debt. 3. If you don’t count the last five years, gold stocks have not done well. 4. The Gold stock in the world is lesser than silver and more than platinum. As with any investment it’s easy to get carried away during a bull market is prevailing. When oil was at US$147 the prediction of US$200 a barrel looked true, but then fundamentals kicked in and the demand dropped drastically as consumption slowed. Same can be the case with gold, with prices around US$900/oz the targets of US$1200 or even 1500/oz look within striking distance. To support the technical analysts who are recommending gold would point out that gold has created a strong foundation around US$900/oz and is ready for the next big move, but looking from the other side you can see that Gold has made multiple attempts to breach US$1000/oz mark but has been unsuccessful thereby creating a resistance. Also why is gold the only metal being recommended for investment? Silver and Platinum are equally precious and have a wider industrial use. Both the metals have corrected by around 40% from there all time peaks which is definitely more than the correction that gold has underwent (10%). Lastly do answer these questions before considering to “invest” in gold, you might realize that Gold could be the next bubble to burst. 1. Does Gold grow with time, or generate income or pay interest. 2. Is owning Gold not associated with storage costs, Insurance etc? 3. If you lost your job and had Gold and House as an Investment – which would you sell first? 4. Can gold be eaten? 5. What would happen if the gold funds faced redemption pressure? Published in Business Times as well – http://www.businesstimes.com.sg/sub/premiumstory/0,4574,327931-1239479940,00.html?